Heat oven to 350°F. Separate dough into 8 rolls, and place cinnamon side up on counter. Let stand at room temperature 10 minutes. 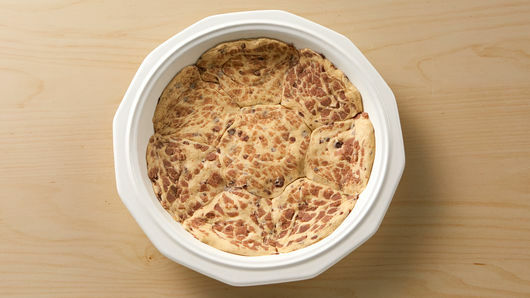 In small microwavable bowl, place icing from container; cover and refrigerate. Meanwhile, in medium bowl, mix flour, brown sugar and cinnamon. Cut in cold butter using fork or pastry blender until crumbly. Stir in pecans; set aside. Press and flatten each roll into 3 1/2-inch round. In ungreased 9-inch pie plate, place 1 roll in center; surround with remaining 7 rolls. Pat and press to stretch dough to cover bottom and side of pie plate. Make sure there are no holes between the flattened rolls. Bake 10 minutes. Spoon pie filling in center of cinnamon roll crust; top evenly with streusel. Bake 20 to 23 minutes or until edges of crust and topping are golden brown. Cover edges of crust with strips of foil during last 5 to 8 minutes of baking, if necessary, to prevent excessive browning. Cool 1 hour. Before serving, microwave icing uncovered on High 10 to 15 seconds or until thin enough to drizzle. Drizzle back and forth over top of pie. Removing the cinnamon roll dough from the can while prepping the rest of the recipe allows the dough to warm up a bit, making it easier to pat and press into pie plate. 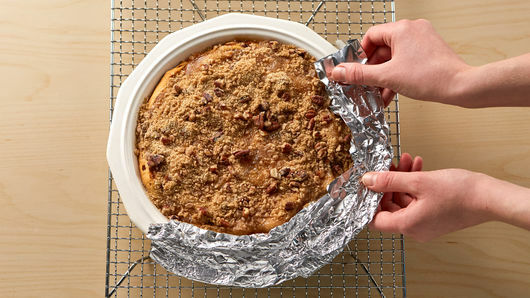 Covering edges of the crust with strips of foil while baking helps to prevent excess browning. If edges are covered, be sure to look both under the foil and on pie top when checking doneness. Check your grocery’s bakery aisle for many different varieties of pie fillings. 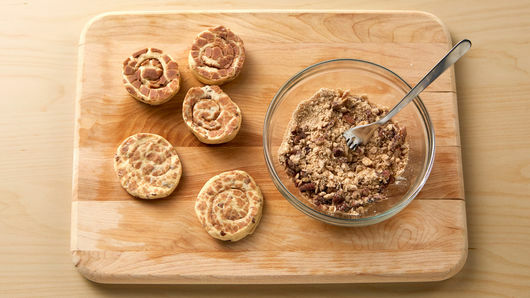 Is there anything you can’t do with a can of cinnamon rolls? 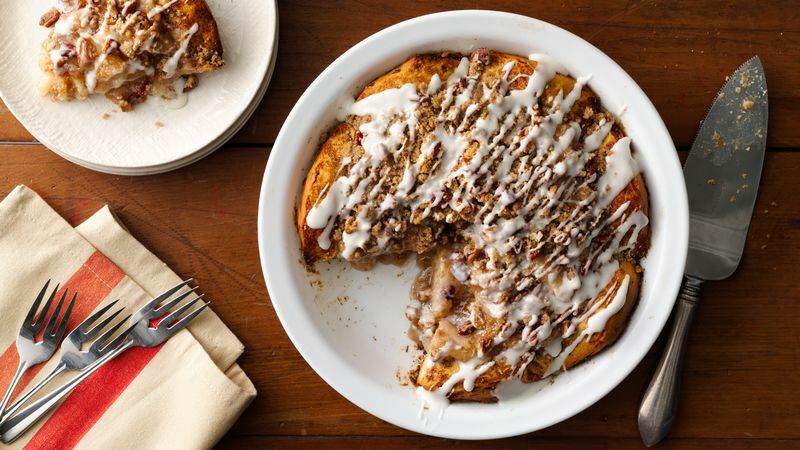 The addition of cinnamon rolls makes it perfectly acceptable to eat this apple pie for breakfast! You’ll notice that this cinnamon roll apple pie is categorized as a “Dutch apple pie.” You may have heard the terminology before, but few know the difference between a Dutch apple pie and a classic American apple pie. A Dutch apple pie, like this recipe, usually has a crumbly streusel topping while a classic apple pie features both a bottom crust and flaky top crust. However you make apple pie, the customizations—for the crust or the filling—are endless. Find out how to make the best basic apple pie (ever!) and how you can take America’s favorite dessert up a notch with our apple pie tutorial.